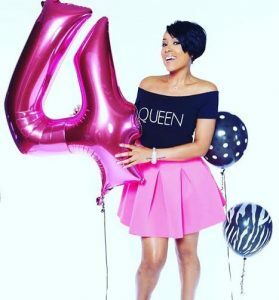 The Single Wives Club Celebrates 4 years of Empowerment! 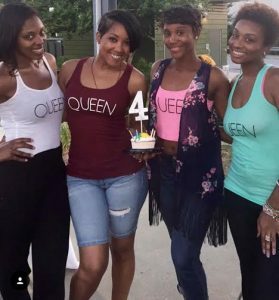 The scene… Summer cuties adorned in their MOB Wives (Men Over Boys) tees, Queen tees, and let’s not forget Single Wife tees. From Double Dutch to TURN UP Taboo (The Single Wives Edition), oh and of course the always HOT ATL SCENE. 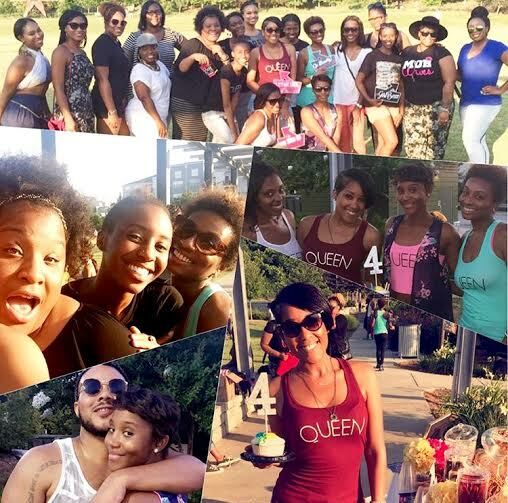 The Single Wives Club knows how to show up and show out! It was so amazing to see a powerful business celebrate four years in the game and come to life with beautiful queens sharing their stories of how they first became a member, how long they have been rocking with The Single Wives Club and how it has changed their lives. I met up with Ta’sha, Single Wives Club member for over a year and began to pick her brain. I asked, “What inspired you to join?” She responded, “I was looking to be inspired.” Ta’Sha is a native of New Jersey and wanted to settle into the Atlanta scene with her fiancée. She stated, “I had done my research prior to my move and felt The Single Wives Club was a good fit and great starting point to meet like-minded people.” I then asked her, “So what are two things have you learned since becoming a member?” Ta’sha replied “To always do a Selfie Check, and it’s ok to say NO!” By the way, for those who don’t know what a “Selfie Check” is, in the world of Single Wives, it means to check yo’ self and to be sure you look out for you first! BOOM. As the DJ played all the current “Aaayyyyyyyyyyeeeeeeeee” tunes, I had the chance to catch up with Wife Coach LB. For those of you who don’t know LB is an AWESOME boss who hails from “Murrland” (aka Maryland) and the best Taboo Partner EVER! She collaborates with The Single Wives Club and contributes her expertise and passion for empowering women. As a Wife Coach, LB comes from a place of encouraging women on their journeys to becoming healthy and whole women pre and post wife. When asked what inspired her to create Wifestyle Coaching and link up with such an amazing organization such as The Single Wives Club, she stated “From realizing there was a difference between being married and being a wife. One has power and the other doesn’t.” She stated, “It’s important for women to do their homework first, before aspiring to becoming a wife. I realized that there were not many positive or healthy examples of what being a wife was.” BOOM…and just like that LB followed her heart and decided to share her own experiences to help women. If you don’t know already, The Single Wives Club exercises many collaborations and this one is POWER PACKED! Be sure to catch #Lunchattheloft Thursdays on Periscope! GET INTO IT… You don’t want to miss it! “I don’t want to put GOD in a box, because whatever he has for me is SO BIG I can’t put it into words.” Now if you don’t know Koereyelle, NOW YA KNOW! This fearless woman knows who’s in control, has the guts to go for it and, is empowering women from all over the world to BOSS UP! Today I had the opportunity to meet so many beautiful women, whether a member, supporter, or apart of behind the scenes dream team… one thing is for certain, to miss out on the WERK PRAY SLAY October event would be cray, cray! Get ya tickets starting July 8th. For details and updates follow @werkprayslay. Four years later.. and The Single Wives Club is here and getting STRONGER THAN EVER! The Robot Rebel – Go from alive to LIVING. Bio: Inspirational Chick Unlocking Your FREEDOM.